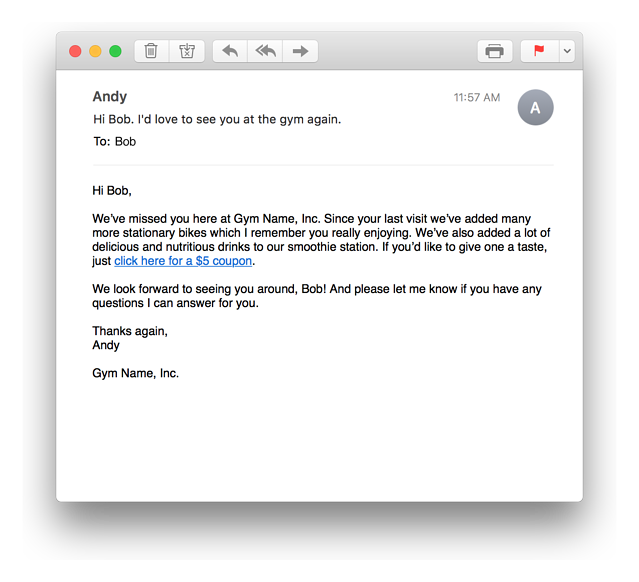 We write a lot about email marketing on the Club OS blog. That’s because sending emails is one of the most reliable ways to bring in new business and maintain sustainable growth. Email is also a great way to keep existing members or clients engaged, and therefore helps with retention, upselling, and cross-selling. In this blog, we highlight some of the less obvious mistakes that if corrected will help you start your 2018 email marketing efforts off with a bang. Text-based emails also work especially well when sending segmented and customized emails. This too goes back to the organic, personal feeling these types of emails provide recipients. If you can use someone’s name in a text-based email it really will look and feel as if you typed out the email just for them even if you haven’t. This will increase the likelihood of the email being read and the desired action being taken. Another text-based email bonus is that when you remove images, you remove any chance of your email not loading correctly in the numerous email clients out there (Gmail, Apple Mail, Hotmail, Outlook, etc.). You’re trying to say too much. The most successful marketing emails have focus. They don’t try to tell you about everything going on with the company that’s sending it. These types of focused emails know exactly why they’re being sent. They even know why they’re being sent to the specific recipient which brings us back to segmentation. If you’re launching a new class or service, the email you send, especially if it’s been customized and segmented to be received by someone that would find value in its content, needs to be focused around the new class or service. This is not the time to tell them about other exciting things going on with your business - unless they're being used as the actual offer like the simple, text-based email example above. The more simple and focused you keep your emails, the better they’ll be received and the information contained within them actually read. Get them to answer a question in their mind. “Would you like to see the same exercise benefits but in less time?” Remind them of something you know they enjoy. Use bulleted lists to impart information in a digestible manner. Don’t use big words for the sake of using big words. Think of where the recipient is most likely to be reading this email. Are they in the office? Are they in bed winding down for the evening or sitting with a cup of coffee ready to start their day? This information can determine what you say and how you say it, but regardless of any of that you still need to keep the message focused on the purpose of sending the email is in the first place. The purpose is to get the recipient to take the action you desire. You’re not testing or learning because it seems complicated. Don’t let marketing talk like “A/B testing” or “split tests” discourage you from learning about your email marketing efforts. Even if the email software you use doesn’t make performing these types of tests easy, there are still ways to learn after each email you send. Where do you start? If you’re already sending marketing emails just take a look at what’s worked in the past. Even if you know you can improve (hey, that’s why you’re reading this blog) you have to start somewhere and your past emails can give you a baseline from which to start improving. Start simple. Keep an eye on the two metrics below. Improve them and you will find success and your email marketing will start to snowball because the more you learn the more you can improve. Your click-through rate may very well be the single most important email marketing metric, but that’s not where this journey ends. If your emails have high click-through rates then that means your emails are awesome, but if what happens after the recipient clicks doesn’t end in your desired goal being achieved (signing up for a class, filling out a form, etc.) then you might as well not send the email at all. I explain why in the next section. You’re not thinking enough about where you’re sending someone who clicks/taps. If you’ve gone through the trouble of segmenting your list to ensure the recipient is someone that would find value in the content, don’t mess up the flow by sending that person back to your homepage when the email was about a new class. Send them to a page on your website where they can learn more about the new class and sign up. They shouldn’t have to do extra work. 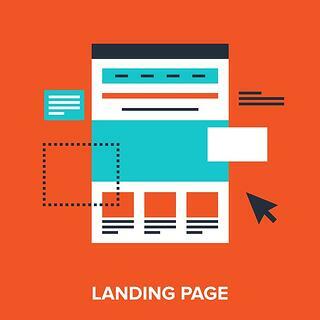 Typically, you’d want to send people to what’s known as a “landing page.” A landing page is a web page that’s focused around a core feature or product or service without much mention of anything else. Landing pages typically don’t even have navigation thus taking distractions away from the visitor and encouraging them to stay on the page to learn more about what it says and is offering. It’s ok if you can’t create landing pages. At the very least you should be sending people to a page where they can take some sort of action, even if that means asking them to fill out a form to show interest or sending them to your actual schedule page where they can sign up for the new class or buy whatever you’re selling. And most importantly, wherever you send them needs to be mobile-friendly. This is a must. Having a mobile-friendly website is no longer optional. Just ask Google. You’re not removing unengaged emails. It may sound counterintuitive to remove subscribers from your mailing list, but it can be one of the best things you can do for the health of your mailing list. Your data becomes more accurate thus making your tests more accurate. Your risk of upsetting your email marketing platform by sending emails to people that don’t want them goes way down. And if done correctly, you may even gain back some previously unengaged people that turn into paying members or clients. So how do you do this? If your email marketing platform allows, as most do, you should be able to see which email addresses have engaged within a specific timeframe. You can then segment the email addresses that have not engaged into a separate list and start working from that list. 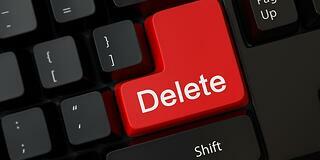 This is to avoid doing a sweeping delete of all unengaged/inactive email addresses. Instead, you will try to re-engage them with a final email in which they’re told they will be removed from your mailing list unless they take an action. This action can be based on the recipient taking you up on an offer, entering into a contest or giveaway, etc. Whatever you can do to get the recipient to open and click/tap something in this email to show they’re still interested. If they still don’t engage, remove them. On the other hand, these people haven’t been engaged with your past emails, so why would they start now? This strategy of trying to re-engage people can be delicate as you don’t want to “Groupon” the situation by encouraging a lot of people that will take you up on a deep discount but not end up paying full price and therefore having had a lot of effort expended on them by you without long-term benefit for your business. This doesn’t mean you shouldn’t have a re-engagement plan with that final email, it just means you may not get it right the first few times you want to clean house. Like this blog? Download the e-book we wrote on email marketing specifically for gyms and fitness businesses.